A new Egyptian themed slot from iSoftBet - The Book of Immortals! All game providers, need to have, at least one excellent Egyptian themed slot in their game arsenal. Aren’t we all familiar with Microgaming’s Mega Moolah Isis and Play’n GO’s legendary Book of Dead? Which goes to show how this game genre can make or break a provider. In recent news, iSoftBet announced that they’d join the pack with the release of The Book of Immortals. And according to iSoftBet, they have an Egyptian hit in their hands. In fact, the exclusivity period on LeoVegas demonstrated that the game is very popular with savvy casino players. On that note, let’s explore the Book of Immortals as it now goes live across Britain. First of all, the setup of The Book of Immortals is on a familiar layout and has 5 reels, 3 rows, and 10 paylines. The game’s features include 10 Free Spins, Stacked Symbols, and huge Multipliers up to 200x bet. In this casino slot, the number of Scatter determine the multiplier index you’ll play within the Free Spins bonus. In essence, 3 Scatters award a 2x bet multiplier, and 4 a 20x bet multiplier. Finally, 5 Scatter symbols will reward you with a whopping 200x bet multiplier. So as you can see, The Book of Immortals is an excellent bet. And not only because it has captivating graphics. Indeed, the multipliers this game awards are life-changing. As revealed above, the Book of Immortals was a hit on LeoVegas when they had exclusivity for it. And so, after the exclusivity period ended. 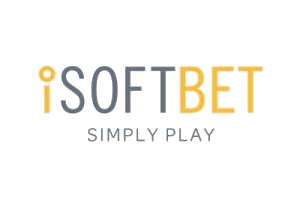 Michael Probert, CCO at iSoftBet couldn’t help but conclude that. “After a successful exclusivity period, Book of Immortals is open for general release to our wider partner network. With its fearsome characters and captivating graphics. We are looking forward to The Book of Immortals holding an important place in our portfolio for years to come.” So, as it seems, iSoftbet new Book of Immortals is meant to be legendary. But is it? Find out by visiting Rizk Casino, Videoslots or Casumo. They have the game now.